The L logo cannot be used by others for profitable merchandising. But, we now have a FREE endorsement program for non-profit and municipal organizations to use the L logo, especially to continue marking the Lincoln Highway in ways that benefit travelers, as its original purpose was like a street sign. This endorsement program is very easy: Simply contact us at: lincolnhighway2010[at]yahoo.com and let us know what kind of a project you have in mind. We can help you conduct research (especially historial), suggest tasteful uses of the L logo in ways that our members will want to visit your towns and points of interest, and include FREE advertising of your projects and events here on this Web site. Why are we doing this? 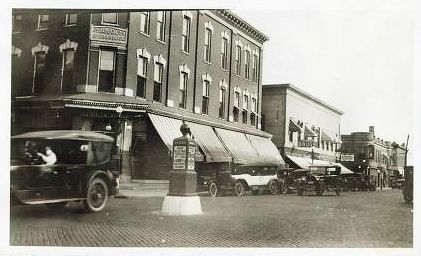 The original entrepreneurs responsible for the Lincoln Highway in 1913 invested their own money in promoting the road. The Seedling Miles which helped in the experimentation with longer-lasting (and far less muddy!) road building materials relied heavily on privately raised donations. The LHA relies on private donations and membership dues. The Illinois Chapter of the Lincoln Highway Assocation fits in with the spirit of those early entrepreneurs with this Endorsement Program. What do we gain? We have members who are very interested in projects involving the Lincoln Highway and what better way to find out what your projects are by working with you for free. No one benefits if the historical research has innacurate information and the LHA has members who are this country’s leading historical experts on the Lincoln Highway. Joining the LHA is not required for the FREE endorsement service, but if you are happy with the results, we hope you or your organization will join anyway. What is the catch? We are all volunteers and some of us have day jobs–realizing that some of us may not be available all the time via telephone, a little flexibility in using e-mail as a primary means of communicating would be helpful. Again, the contact information for Illinois is: lincolnhighway2010[at]yahoo.com. Send e-mail today to see if we can help out your organization in promoting the Lincoln Highway in responsible and historically accurate ways! 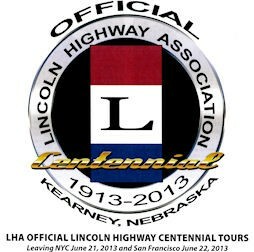 Lincoln Highway Association and the L Logo are registered trademarks of the Lincoln Highway Association and should not be used without permission, especially for merchandising. This Web site © 2012, Illinois Chapter, Lincoln Highway Association. Thank you very much for recognizing and respecting our intellectual property.